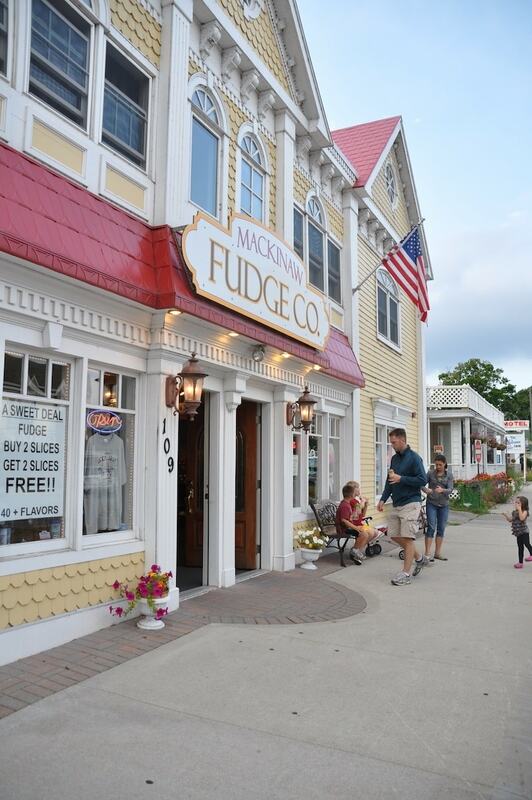 Mackinaw City businesses and hotels are celebrating the start of spring with vacation specials and first-ever events during the Mackinac Meltdown Celebration April 1–9—which just happens to coincide with spring break! Participating hotels have rates starting at $59 a night (here’s the full list). Here’s a quick look at what’s going on, including when the first ferry will head to Mackinac Island—earliest date ever! Celebrate spring with dinner, dancing and friends at Nonna Lisa’s (312 South Huron Ave.). Enjoy a six-course gourmet meal, live music and a cash bar. Daily from 9 p.m. to 2 a.m. Tickets cost $45. Love is in the air! International and local exhibitors will present products and services to couples, family, friends and anyone who is interested! Food and beverages will be available. Free admission for people staying overnight stay at participating hotels or $10 for a combo pass for Bridal Expo and Taste of Mackinac Food Experience. April 1 from 1–4 p.m.
Splash into Spring from April 1–10! Admission to the indoor water park is $5 (312 S. Huron Ave., Mackinaw City). This event at Mackinac Bay Trading Company (located across from Conkling Heritage Park on Huron Avenue) features tastes from Mackinac Island Brewhouse and Mackinac Island Winery. Mackinac Island Brewhouse is a beer lover’s dream with over 300 selections of Michigan microbrews; Mackinac Island Winery features over 400 Michigan wines. Outside of some occasional winter openings in the 1990s, this is the first time one of the Mackinac State Historic Park sites—Fort Mackinac, Richard and Jane Manoogian Mackinac Art Museum, Colonial Michilimackinac, Historic Mill Creek Discovery Park and Old Mackinac Point Lighthouse—will be opening for the season before May. Tickets to the lighthouse will be available through partner businesses of the Mackinac Meltdown for $8 each. All tickets must be purchased in advance, and no tickets will be available at the lighthouse. The lighthouse will be open Saturday, April 1 and Sunday, April 2 from 11 a.m.–4 p.m.
River City Renegades Roller Derby league will host a triple-header event at Mackinaw City Recreation Center (507 W. Central Ave, Mackinaw City). Tickets will be available at the door: $5 for one game or $7 for all three! 1 p.m. Michigan vs team Michigan—team skaters from all over Michigan are playing each other! Bonus! Ferry service to Mackinac Island begins April 1! For the first time in history, Starline is offering ferry service from Mackinaw City to Mackinac Island. The service includes a free Mackinac Bridge Tour aboard the Mackinac Old Time Trolley and free luggage transport. Purchase tickets online or at participating hotels. *The ferry won’t run in inclement weather. For more information & events happening this week call 866-651-5474, and visit Mackinaw City Chamber of Tourism’s website.